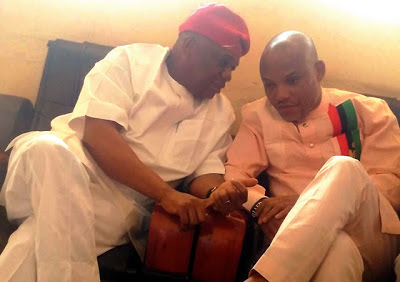 Former Governor of Abia State, Orji Uzor Kalu, on Friday paid a visit to the incarcerated leader of the Indigenous People of Biafra, Nnamdi Kanu, where he said the latter did not deserve to be in detention. Kalu, who recently defected to the ruling All Progressives Congress, posted a picture he had taken with Kanu during his visit to Kuje Prison. However, Kalu’s post generated a mixed reaction on Facebook, as some commenters criticised him while others commended the move. Kanu, who is facing 11-counts bordering on treasonable felony and his alleged involvement in acts of terrorism, has been in detention since October 2015 when he was arrested by security operatives.